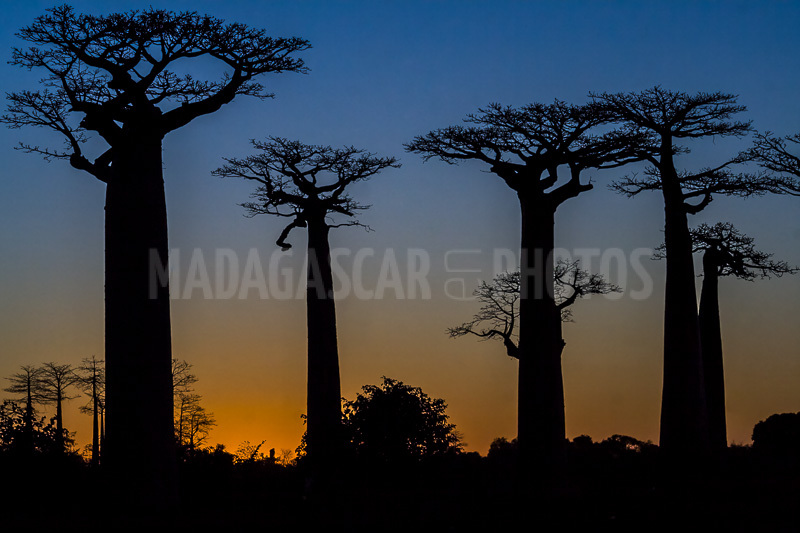 Of the 8-baobab species inventoried in the world, 7 are endemic to Madagascar. The baobab, majestic in their 100 feet circumference, 130 feet high and 6 centuries of existence for some, is one of the most enormous species of the plant kingdom, despite some dwarf species that can only measure a few feet. A recent study based on satellite imagery has confirmed that there are more than 3 million of them throughout Madagascar, scattered over the southwestern part of the island. Etymologically, its name derives from the Arabic word "bu hibab" which means fruit with many seeds. Almost all parts of the baobab are used, which is worth the protection and veneration of the local populations. The leaves, seedlings and roots are consumed as vegetables, the fruit is used to prepare beverages, and seeds an edible oil. The leaves are also used as a medicinal product against colic, bark against fever and gum as a disinfectant.